Watch the Step Forward Hype Video now! 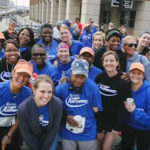 Featured in Runner’s World Magazine and highlighted in many news stories, Step Forward unites and mobilizes volunteers to help men and women in addiction recovery at City Gospel Mission to break the cycle of poverty, despair and addiction. We show God’s love to them while training for and then participating in the Cincinnati Flying Pig and Queen Bee. The team was launched in 2008 as a way to educate and involve addiction recovery participants in the important role physical fitness, teamwork, setting and achieving goals while going through their addiction recovery journey. 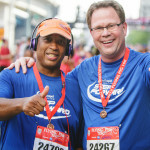 Our 3-month training program leads up to participating in various races on Flying Pig Marathon and Queen Bee weekends. 80%- The success percentage of our addiction recovery graduates who remained sober, in stable housing, and have a job, 3 years after graduating. 30%- The National average success percentage rate. 80%- The number of people in recovery at City Gospel Mission that have heroin and opioid addictions. 100% of the participants in our addiction recovery program and homeless services that have started their Flying Pig and Queen Bee races have crossed the finish line and completed! We need you, the community, to come along side of, walk with, run with, engage, encourage, have fun and support these men and women to reach their goals of crossing the Flying Pig and Queen Bee finish lines. More importantly, you can help transform their lives! This works! January 8 “Understanding Addiction Recovery” training for volunteers 6:30-9:00 p.m.
January 12 “Understanding Addiction Recovery” training for Volunteers 9:00-11:30 a.m.
Beginning February 2: Boot Camp practices take place every Saturday morning in February. Beginning March 2: We practice Wednesday evenings and Saturday mornings during March and April. May 4-5, 2019: The Flying Pig races! To find out how to join, sponsor or if you have questions, please contact David Pinson at dpinson@citygospelmission.org or (513) 377-5650. 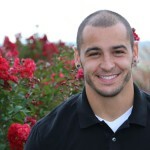 For media inquiries, please contact Tim Curtis at (513) 345-1030 or tcurtis@citygospelmission.org. 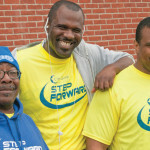 Click on the photos to watch inspiring Step Forward participants and their stories.